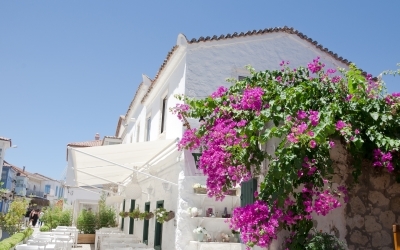 We recommend our True Repose itinerary to guests who yearn to escape the everyday and who seek peace and tranquility in areas unspoiled by modern-day civilization. From the charismatic city of Istanbul, to unique Pamukkale, to magnificent Ephesus, to picturesque Cesme, this Turkey holiday is ideal for travelers looking to experience a combination of beautiful natural landscapes, rich history, and peaceful relaxation. Arriving at the Istanbul airport today, you'll be met by your True Turkey representative, who will assist you with transportation to your first "night's" hotel. Once you're settled, begin your vacation by taking begin your vacation by taking advantage of our customized recommendations and head out to explore this historic and dynamic city. Get your first taste of buzzing Istanbul wandering through areas such as upscale Nisantasi, colorful Taksim, and charming Sultanahmet. Enjoy a guided tour of all the main historic sites in the city, among them Aya Sofia, the Blue Mosque, Topkapi, the Roman Hippodrome and Cistern. 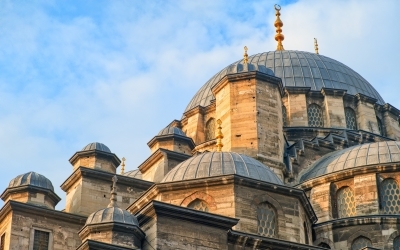 Learn about this region’s impressive history and how it has contributed to today’s modern culture of Istanbul. Be sure to visit the exciting and world famous covered market of the Grand Bazaar, as well as the charming Spice Market full of wonderful scents. For the adventurous who want to explore more of the city, we recommend enjoying an enchanting boat cruise along the Bosphorus, venturing to the Prince Islands, or visiting one of the city’s many suburbs, perhaps Ortakoy or Bebek. By the end of your stay in Istanbul, we are sure that you will come to love this diverse, exciting, and truly unique city! 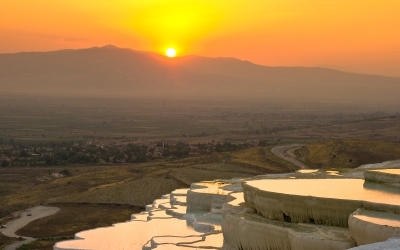 Arrive at one of the most photographed places of Turkey – the incredible Pamukkale. Once you have checked-in at your resort, head out to discover the unique beauty of the landscape. During your visit of this area, explore the ancient city of Hierapolis that stands atop the white travertine terraces of Pamukkale and see why these sites have been recognized as UNESCO World Heritage Sites. The mineral forests, petrified waterfalls, and terraced basins of Pamukkale perfectly complement the ruins of ancient baths and temples of Hierapolis, forming a truly distinct setting that will captivate any visitor of this remarkable area. Arrive at your authentic boutique hotel in the quaint village of Sirince - meaning “pretty” - and once you’ve checked-in to your hotel take a leisurely walk to explore this traditional town and its landscape of vineyards and peach trees. During your first full day in the area, enjoy a guided tour and begin your discovery of one of the world’s most well-preserved ancient sites. Together with your guide you will have the opportunity to learn about the Temple of Artemis - one of the seven wonders of the ancient world – or visit the famous Library of Celsus, the Gate of Augustus, and the Basilica of Saint John…just to name a few. Learn about this ancient city’s incredible history, the rise and fall of some of the world’s most influential empires, and how Ephesus played a particularly important role in the history of Christianity. We definitely recommend a day trip to the cosmopolitan city of Kusadasi to explore the many shops, restaurants, and cafés. Take advantage of our True Turkey Recommendations Guides to learn about the history of this fascinating region and the unique travel experience it offers to its visitors. 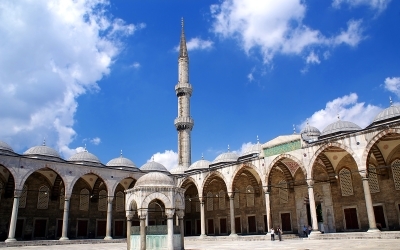 We are sure that you will truly enjoy learning about this area of Turkey – it is quite incredible! Arriving at Izmir airport you will have the opportunity to see some of the luscious Turkish countryside during your drive to the coastal town of Cesme. Check-in to your boutique resort hotel and spend the rest of your afternoon at leisure enjoying the sun and beautiful landscape. A favorite destination of the Turkish jet set, the Cesme peninsula is a prominent center of international travel offering a diverse selection of restaurants, cafés, bars, and shops. We recommend heading out for a leisurely walk around the town of Cesme, but be sure to also explore one or more of the surrounding towns and villages such as Illica with its incredible beach or the picturesque small town of Alacati to get a taste for life along the coast of Turkey! Some historic points of interest that you may enjoy are the Cesme Castle and the 19th century Greek Orthodox church of Agios Haralambos, which is today used as a gallery for temporary exhibitions. Having already explored the city of Istanbul, after checking-in to your hotel head out to your favorite part of the city or discover another area that you missed during your first stay. We highly recommend enjoying a leisurely stroll through one of the coastal suburbs or use our Istanbul restaurant recommendations list to enjoy a farewell dinner at one of the best restaurants in the city. You are sure to leave Turkey full of wonderful memories! The featured destinations, activities and tours in the above itinerary are only a small selection of the alternatives offered.